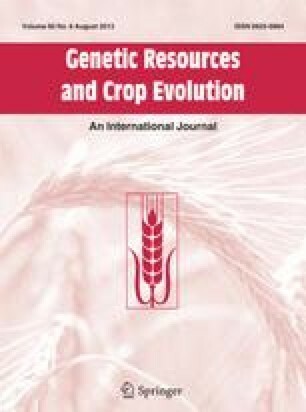 Purple-grain tetraploid wheats (Triticum turgidum L.) are widely cultivated in the Ethiopian highlands despite the claim that they have lower industrial quality properties and market prices than the white or red/brown seed-colour types. In an attempt to find a possible explanation for this, the three seed-colour groups were compared for grain yield, other 11 agronomic traits and protein content. Five traits displayed significant differences between seed colour groups where the purple-seed was superior; earlier maturity, shorter height, and higher fertility, tillering capacity and harvest index. Most of these are important adaptive traits to waterlogging stress on dark-clay soils (pellic vertisols) where the great bulk of the Ethiopian tetraploid wheats have been grown. Furthermore, among the three seed-colour groups, purple-seed wheat has the best malting quality for the preparation of arekie, a locally distilled spirituous liquor. It, therefore, appears that both natural and human selections have been reponsible for their continued cultivation. Hence, the notion that purple-seeded wheat is the “least preferred” should be interpreted carefully not to necessarily address the whole community in Ethiopia. As to their taxonomy, all tetraploid wheat taxa (T. turgidum L. sensu lato, 2n = 4x = 28) that are found in Ethiopia, with the possible exception of T. dicoccon Shrank (locally known as Adja), may possess the purple pericarp-colour, although in varying frequencies; very low inT. polonicum L., and high inT. carthlicum Nevski andT. durum Desf.